Triumph Trident, had one less cylinder than the Japanese bike's four. 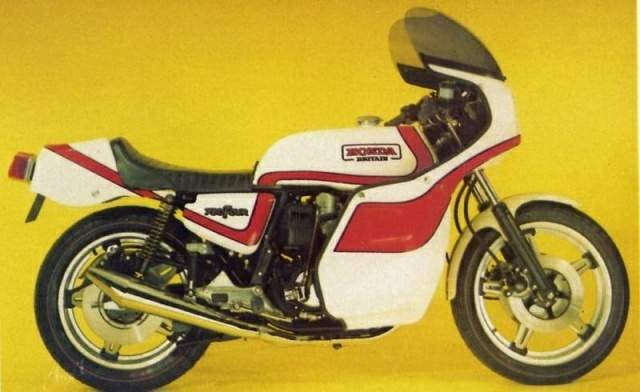 Steadily, the Honda was developed from its initial K guise until in 1978 it was available in K7 form. During that time, what was the incredible performance of the early bike had dissolved, as the power unit was modified to suit pollution regulations. In a bid to resurrect the performance to meet the evergrowing competition, a Super Sport F1 version was announced, which featured sportier looks, if not a lot else. The F2 was an altogether different proposition, however, with a completely revised engine which was hoped to keep customers happy until Honda's sixteen-valve twin-cam range was ready. The F2's engine is a 736CC single-overhead-camshaft four which, with larger inlet and exhaust valves than the F1, produces 6bhp more at 73bhp at 9ooorpm; torque peaks at 461b ft at 75oorpm. Although not as sophisticated as other Japanese fours, the Honda unit is nevertheless powerful and very smooth and able to give the bike a top speed of just over I2omph. Cosmetically, the F2 is far removed from its predecessors and its looks bear more than a hint of the famous Honda Formula One racers. The matt-black engine has an air of quality about it as do the steel Comstar wheels. The original Honda 750 was the first mass-produced bike to be fitted with a disc brake as standard, and since that time every manufacturer has adopted them. This sporting Honda has three: twin front and single rear, with floating calipers and slotted brake pads. Handling has never been the 750's best point, but-the F2 is an improvement over the rest with its revised suspension. The Japanese tyres are not as safe as European covers, however, on this particular bike. The standard of finish on Hondas is high, and the F2 is no exception, with the chrome on the four-into-one exhaust, which finishes at the tail of the bike with a width of no less than five inches, standing out in particular. Night time riding on the F2 should be easy with a powerful quartz halogen headlamp cutting a path. 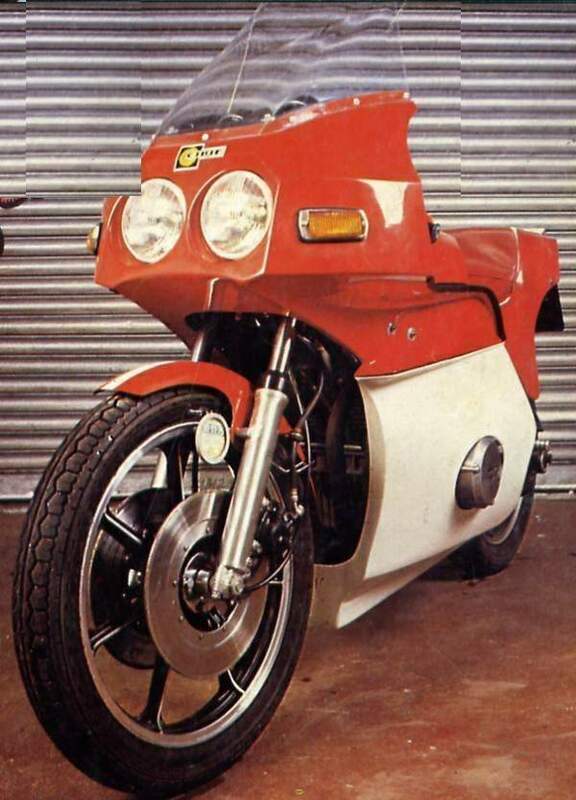 More like the endurance racers is a limited edition F2 which features a 'Phil Read' twin headlamp endurance style fairing, finished in Honda Great Britain colours. That, until the sixteen-valve series comes along, kept the road racers happy.